Nine years on, it’s possible to forget the magnitude of the shift in tone achieved by Daniel Craig’s first Bond outing, Casino Royale (2006). In the wake of the crunching realism of The Bourne Identity (2002) and its sequels, it was the most pronounced stylistic change in the franchise’s history. This was a desperately needed embracing of a hard-hitting physicality, a jettisoning of the arched eyebrows and invisible car high jinks of the out-dated and poorly received Brosnan era. Quantum of Solace (2008), conceived as a leaner, sharper follow up, but stymied by the Hollywood writer’s strike, only resulted in a baffling plot and a weak villain. To carry the weight of the brand’s fiftieth anniversary four years later, Skyfall (2012) critically needed to restore credibility. And boy, did it. Especially in the London-centric celebrations of the Olympic year, the capital-based epic succeeded majestically in delivering one of the most purely exciting adventures in the iconic spy’s canon. With the same team reunited for Bond’s latest, including Sam Mendes in the director’s chair, expectations are high for Spectre. What we really want is Skyfall 2. Bond 24, in fact, takes a less pronounced, but just as deliberate tonal shift as Casino. With those earlier successes firmly under his belt, Craig no longer has to win over the doubters. The indulgences of Moore and Brosnan are squarely laid to rest. Fondly remembered maybe, but from a safe distance. So for the first time, this instalment needs to offer something more, something beyond the freshness of the newly cut template. What we do get is a manoeuvring towards the familiar iconography of Bond legend. Vodka Martinis, the Aston Martin, ejector seats, a boat chase down the Thames… it is so heavy with references to earlier works it occasionally comes across like a greatest hits package. The something more that is yearned for, then, is proffered by Christoph Waltz. If the baddies that Craig has previously faced are the weak links of the new era (it being increasingly hard to draw up strong, original villains), Waltz personifies an attempt at the first truly iconic super-villain of the new regime. He is surely born to play the contemporary Bond nemesis, at once debonair, disturbingly precise, and practically unhinged. Following his early appearance in sinister silhouette, much is made of the build up to his reveal, taking our hero the majority of the running time to track him down. But once he finally does step out of the shadows, Waltz is curiously under-used. Thus the third act is the weakest, with a climax that is all too easily resolved, unable to live up to expectation after such an effective build up. Because the journey to get there is very enjoyable. Each set piece may feel slightly too familiar to be regarded ‘classic’, but the country-hopping pace, mood of underlying menace and ferocious brawls along the way all satisfy thoroughly on the big screen. Spectre represents an attempt to weave the brilliantly hard-won brutality of Craig’s tenure back into more familiar, clearly sign-posted Bond territory. The world’s premier assassin might not be signing off each dispatched baddie with a punning quip, but we are beginning to re-taste the tongue-in-cheek humour that the previous three instalments had deftly left behind. It is an engagingly gripping global escapade that will satisfy both Bond devotees and agnostic action fans alike. 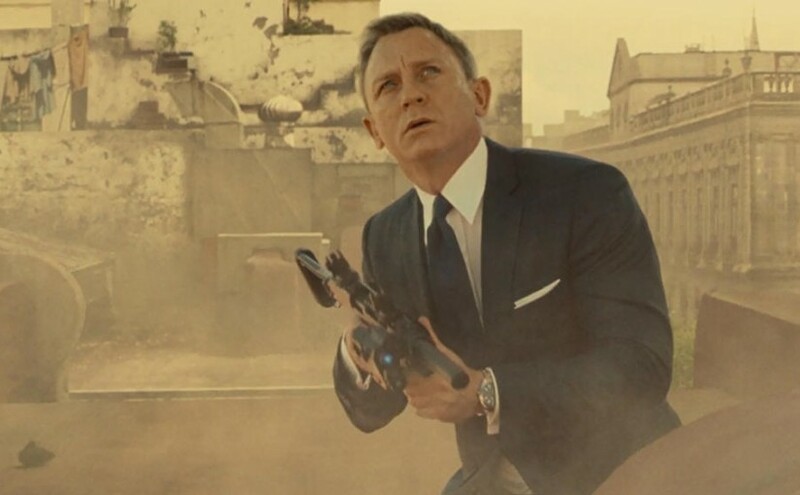 But in the light of the magnificent forward strides made by Casino and Skyfall, it’s just a shame that it feels a little too much like a tentative step backward.